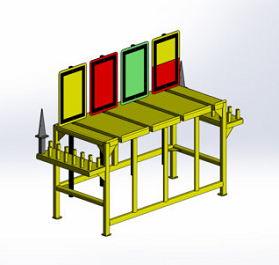 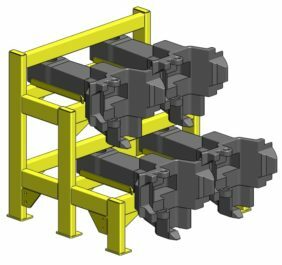 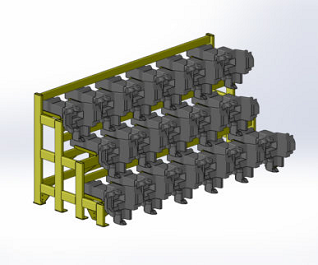 This rack is specifically designed to store model 208 rotary couplers. 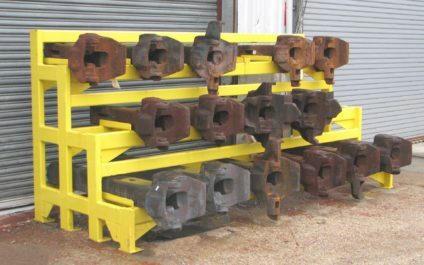 It may be used to store conventional E and F shank couplers. 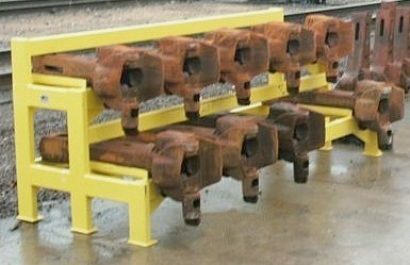 But this rack will not work with model 304 rotary couplers. 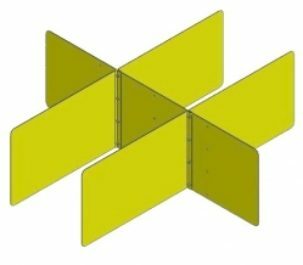 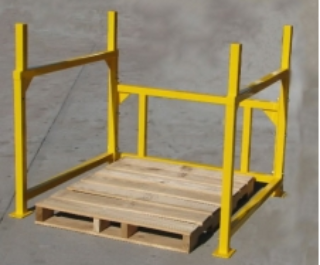 Includes mounting pads to secure the rack to the ground or pavement if required. 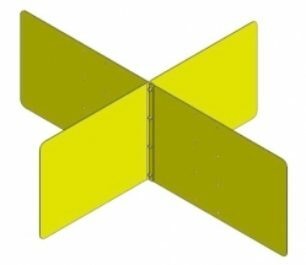 Mounting pads for a wall mount are also included. 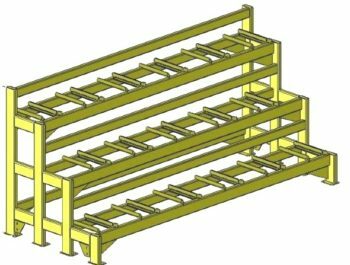 Storage rack is 63″ Tall 44″ Long 35″ Wide. 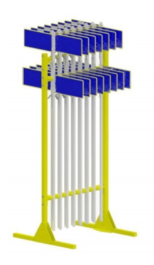 This is a new version of our Air Brake Hose Storage Rack designed to hold “Strato” Air Hoses. 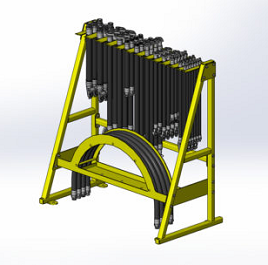 Holds standard train line air hoses as well as the various lengths and styles of hoses manufactured by Strato. 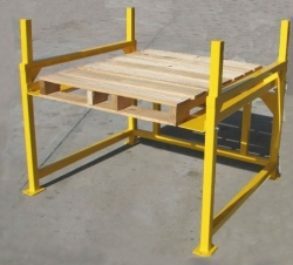 Includes a small storage shelf for small parts. 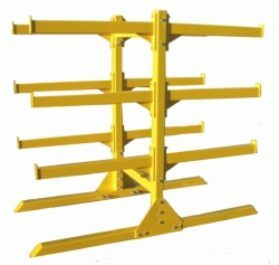 Mounting pads are included to secure the rack to the floor if necessary. 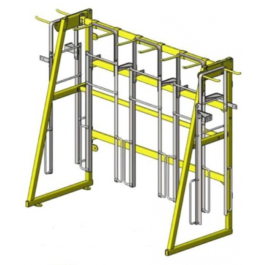 The rack has a rated capacity of 500 pounds, and is 32” Wide X 61” Long X 63” Tall. 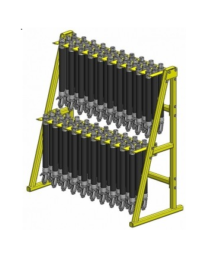 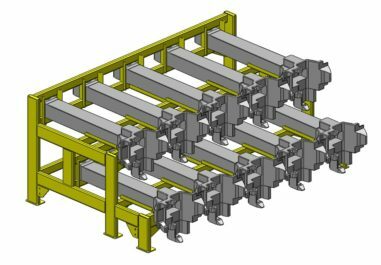 This rack is a half-size version of our Standard Air Brake Hose Rack. 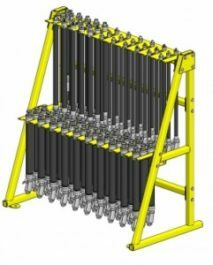 The rack holds 30 each Train Line Air Brake hoses. 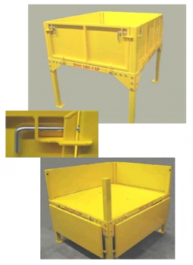 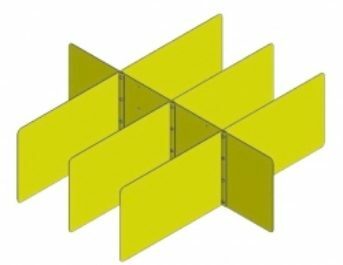 The two-tier design provides maximum storage in a minimal amount of space. 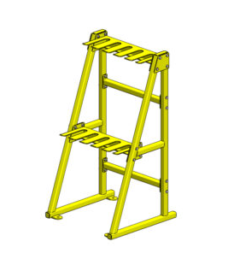 Includes mounting feet to secure the rack to the ground if required. 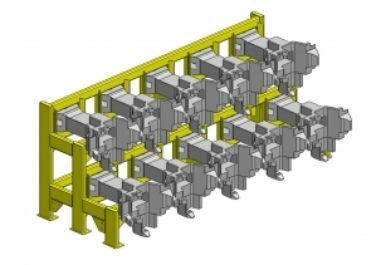 Longer hoses may be stored on the upper level. 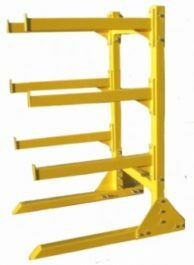 Keeps hoses neatly stored in a central, easily accessible location. 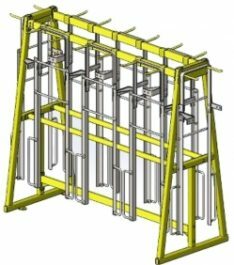 The rack dimensions are 33″ wide, 32″ deep, and 63″ tall.